Servicing most major brand washers,dryers, dishwashers,refrigerators,ranges and Classic Range repair. stablished in 1978 With good old fashioned service in mind. and Gas and Electric Ranges. 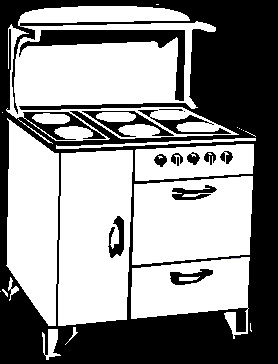 Sorry we do not service LG or Samsung appliances. Local Family owned and operated since 1978. Our mission is to provide families with the highest level of honest service in the repair of appliances with a commitment to satisfaction. I am one of the few still doing it the "old fashioned way" in your home with reasonable rates. In home repairs on most major brand appliances such as washers, dryers, refrigerators, dishwashers, and ranges. Specializing in Classic Range repairs.